Ever since we performed our first down right punch producing a fireball on Streetfighter 2 games have had the lure of the special move. This is a move that is generally a game breaker, master the move and you master the character and then ultimately the game. Here I take a look at the Top Five Special Moves or Attacks in Video Games. Some are obvious, some not so much. There are too many Ice puns for this! It was a toss up between this and Scorpion’s ‘Get Over Here’ Hook, but just for sheer effectiveness it has to be this move. The simplest of moves to pull off in the original Mortal Kombat, but amazing both visually and within the gameplay of the game. As the games have progressed over the years, attacks have become more and more elaborate, but still nothing slows down an opponent’s momentum like putting them on ice. 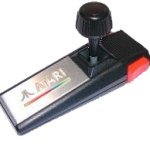 This was an attack that could make or break a Mario Kart tournament. Sometimes all you need is for the CPU to not come in first all the time and that’s where this handy blue shell comes into effect. Everyone who has played as known the satisfaction and the agony of throwing or being hit by this shell when they are on the cusp of victory and no other item in the Mario Kart arsenal is more devastating or heartbreaking. Think you're first? Think again! 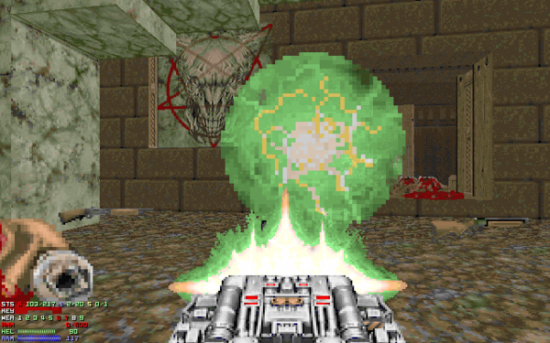 Even if the Chainsaw was more fun, in Doom the reason you explored every room, every nook and cranny was to get your grubby paws on this weapon. It’s true that it did look like you were firing a toaster oven, but its effect was devastating taking out most enemies in one shot. Awesome! Although it made its appearance in the original Streetfighter it was in its iconic and groundbreaking sequel where this move became the move to master. 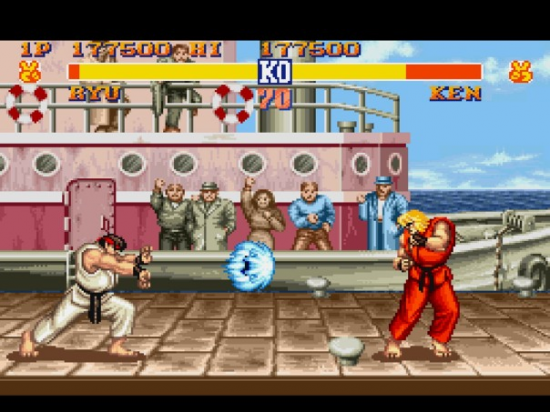 Everyone remembers the sound of Ryu or Ken screaming ‘Hadoken’ as they threw a fireball at their opponent and in the Streetfighter universe none had the same impact. Sure Bison’s Torpedo looked cool and Chun-Li’s Bicycle Kick was… ahem… interesting, but there was nothing as satisfying as throwing multiple fireballs and watching your opponent have to deal with it. Riffing off the magic attack from Golden Axe, this move is just so bizarre that you can’t help but love it. If battling the scum of Metro City gets too much you simply press A and out of nowhere comes a SWAT car armed with a grenade launcher. The shooter is so accurate he is able to take out all of the enemies on the screen, missing you in the process. As ridiculous as it sounds, this is a devastatingly effective move and it’s just a shame that the series abandoned it for the sequels. So there we have it, the top five Special Moves or Attacks. Agree, Disagree? Think Mario’s Fireball or Guile’s Sonic Boom deserved a mention or have your own Top Five? Post all your comments here.